The highlight of my placement year was definitely seeing my designs being built and put into stores. It is so rewarding seeing your hard work displayed for everyone to see. “I enjoy how the course encourages creativity, the staff never limit your designs but instead give creative solutions to how it could work in a real environment. "The course tries to use live projects as much as possible. The project I enjoyed working on most considered the burnt out building opposite Newton Building in Nottingham. We were tasked to reconstruct the burnt out premise with a unique design, and were given a business to work with to fill the space. “The staff on the course are very helpful, and are always open to staying late to help students with their work. Their diverse industry backgrounds enable them to give us students the best advice to prepare us for working in the industry. Can you tell us more about your placement experience? 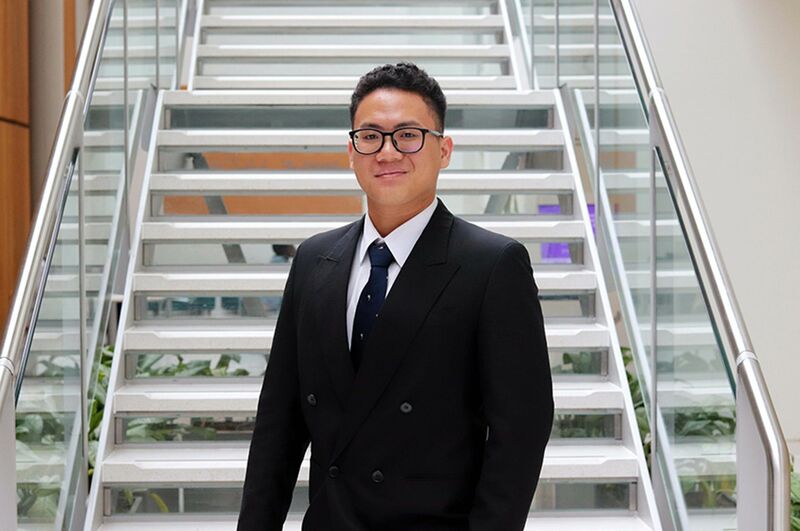 "NTU displayed the placement I went for through the workplace website, and I then applied and completed the process myself. Securing a placement was one of the toughest processes I've been through, but out of 300 applicants, I got the job. 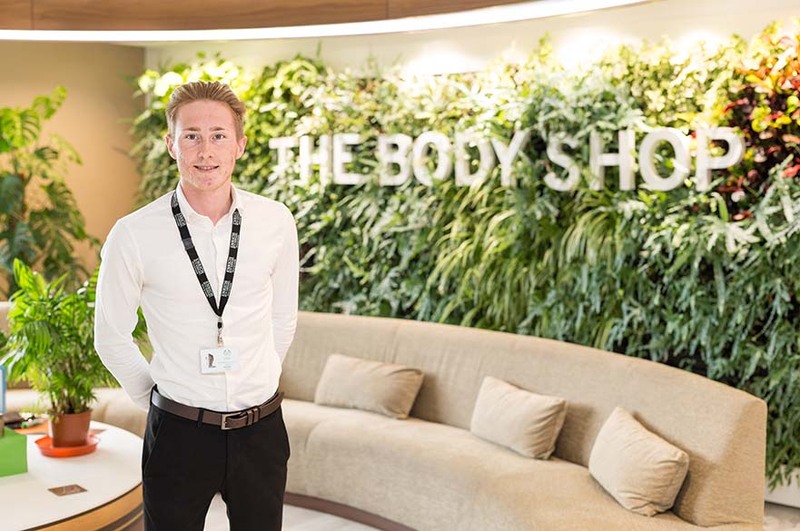 "My placement was with The Body Shop brand as their store design intern. Working with ‘Beyond Communications’, the external designers at The Body Shop, my placement allowed me to participate in designing stores internationally, for both new and existing sites, and designing the vision for the brand and concept store of the future. A great experience that I thoroughly enjoyed! "The highlight of my placement year was definitely seeing my designs being built and put into stores! It is so rewarding seeing your hard work displayed for everyone to see, and to have the opportunity to work with a great team that developed me into a better designer. 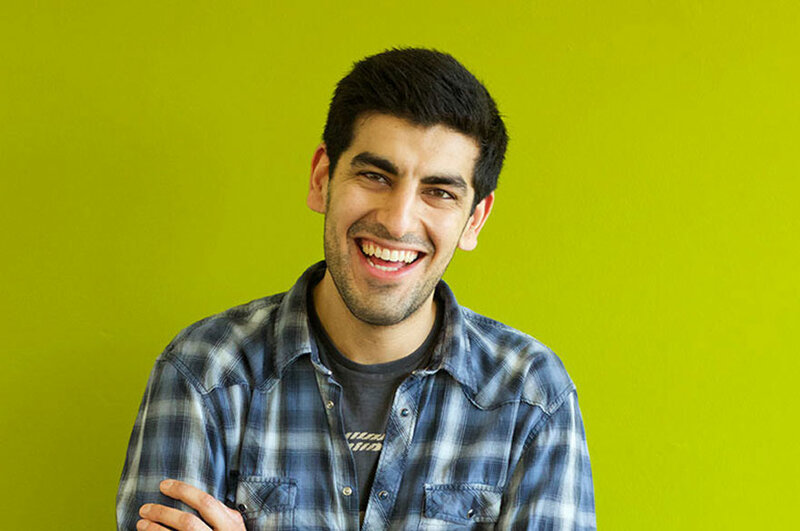 "The company funded my training on a software called cinema 4D – whilst it is one of the most complex design software it is widely used in the industry and I am now confident in using it. In addition, I have developed my people skills, presenting skills and developed my learning for how designs influence customers in retail. 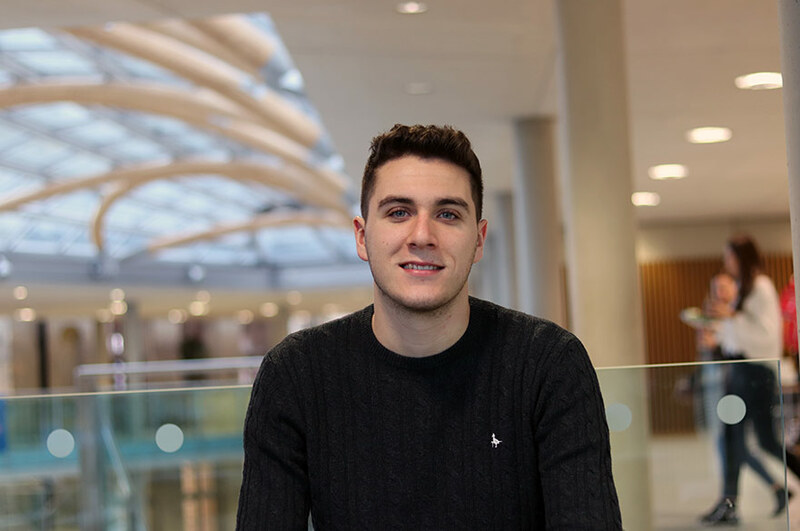 "I now have two jobs on my CV with new skills added, I’ve been working on a personal website that has allowed me to develop my connections with other design agencies in London. I also have two great people to put on my CV as references who are fantastic designers who have given me great references for future job applications. "Have fun! The main part of the course is to enjoy yourself, this will show in your work and it will allow you to be more creative with your work. Also, be expressive, even if you are a shy or reserved person just be different! This is where the best designers appear."